Last night I hosted my New Year Reboot cooking workshop at Demuths Vegetarian Cookery School in Bath. The whole “reboot” concept is all about giving the body a chance to rest and recover after a season of excess, and get back to (or get started with) feeling awesome all of the time. The aim of the class was to provide strategies and recipes to help people design their own “reboot” according to their own personal tastes. One of the strategies involves eating foods that are vegan, gluten-free, soy-free and dairy-free. 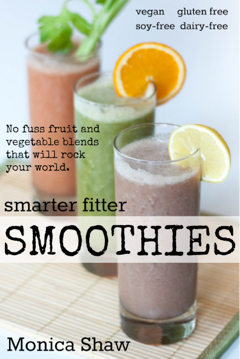 Another strategy involves eating a lot of soup (easy to digest, nutrient rich meals – kinda like smoothies)! One of the soups I demonstrated was this “Cream” of Cauilflower soup. Blended cashews give this soup its velvety creamy texture – no dairy required! And based on the mmm’s of the students, I’d say this was one of the top recipes of the evening. 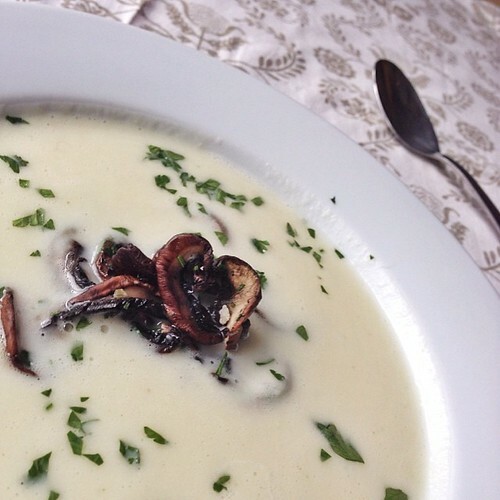 You don’t need milk, cream or potato to make soups creamy – use cashews instead. You also get the protein and healthy fat bonus that comes from using cashews. Plus, adding cashews or any nut to your soup will ultimately make them more satisfying, keeping you fuller for longer and keep you from needing to snack later in the day. You can use this same recipe to make all kinds of vegan creamy soups – broccoli and celery are great here. Warm the olive oil in a heavy-bottom pan. Cook the onion on a medium heat until it is soft, without letting it brown. Add the cauliflower and 125ml water. Raise the heat slightly, cover and let the cauliflower cook for 15-18 minutes, until tender. Working in batches, puree the cooked cauliflower with the stock and the cashews, then return to the pot and heat thoroughly. Serve garnished with sauteed mushrooms, kale chips or whatever tasty garnish you can think of! So. Making. This. on the weekend! Mmm love the cashew as cream trick. I do one with broccoli and basil (summery though) that we love. I will add this rebooted recipe to my growing list of ‘Monica Makes’ recipes. This soup looks pretty much like the best! Definitely adding to my winter rotation.